Sold in .5 LB bags @ $8.00 per bag. 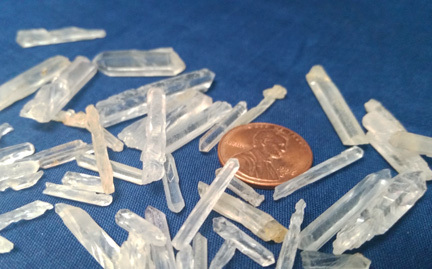 These Mini Natural Quartz points are perfect for any jewelry applications. Great for wire wrapping! .5 LB bag contains 0.5"-.75" pieces, approx. 120-150 pcs. per bag.